I was in my midish-20s when I boarded the plane for my first international trip. And we almost didn’t make the trip. The folks at Frontier Airlines had heartburn that my husband’s name on his ticket (Steve) didn’t match the name that wasn’t on his passport (Stephen). Security was still kind of tight back then. After some arguing, and possibly a phone call home to mom, we finally got on the plane for our trip to Cabo San Lucas. Cabo San Lucas is a resort city on the southern tip of Mexico’s Baja California peninsula. The city is known for its beaches, restaurants, and bars. It is arguably one of the most popular tourist cities in Mexico and because of that, Cabo still remains fairly safe. We traveled to Cabo to attend a friend’s wedding so we were in good company. In fact, maybe an hour after we landed in Cabo, I was already in a swimsuit swimming with fish (literally) at a private beach owned by the hotel we were staying at. Yes, Cabo is that awesome. Did I mention I was swimming with fish? The next day, the wedding group jumped on a boat for a tour of the harbor and some snorkeling. Up until this point, I was sort of a virgin when it came to snorkeling. An hour after exploring the Pacific Ocean with my head underwater, I think of myself as a pro. Okay, maybe more like a novice, or amateur. But what an experience! We saw fish and even an octopus during our snorkeling tour. A year or so later, I would go snorkeling along the beaches of Hawaii. Though fun, it wasn’t the experience I got while snorkeling in the waters that embrace Cabo. A few days later after this trek, another adventure: swimming with dolphins. If you bring children with you on your trip to Cabo, this is a must do. 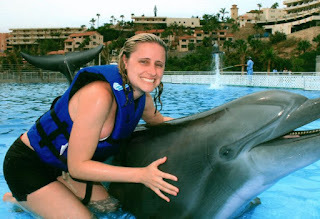 We went to Cabo Dolphins and for an hour, we got to touch, kiss (or be kissed), and swim with dolphins. If you know me, you know that I am slightly obsessed with dolphins. They are magnificent creatures in my mind. So this experience was a dream comes true! Find your beach to swim, surf, or just simply relax and read a book. Here are some other things to check out if you plan to visit Cabo San Lucas anytime soon (or need an excuse to travel to Cabo). Visit El Arco de Cabo San Lucas. You don’t need a translation. You will, however, need a boat if you want pictures or an up close look at the arch. Find yourself in a food coma. We are talking about some serious authentic Mexican food. So be sure to check out the local eateries. Take a stroll along the marina boardwalk. You can visit local shops and meet some the locals who will all be more than happy to sell you something. 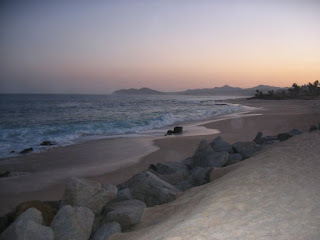 Visit neighboring San Jose Del Cabo. There is really not a bad time of year to visit Cabo. I will say while we were in Cabo, there was a hurricane some distance off the beach. We left a few days before the hurricane made landfall which made for some exciting phone calls from my relatives. But it was fine. It is a tropical location after all. Another thing to watch out for is when you first arrive in Cabo. You may find yourself unwilling talking to someone about timeshares. Just say “no” and go about your day. 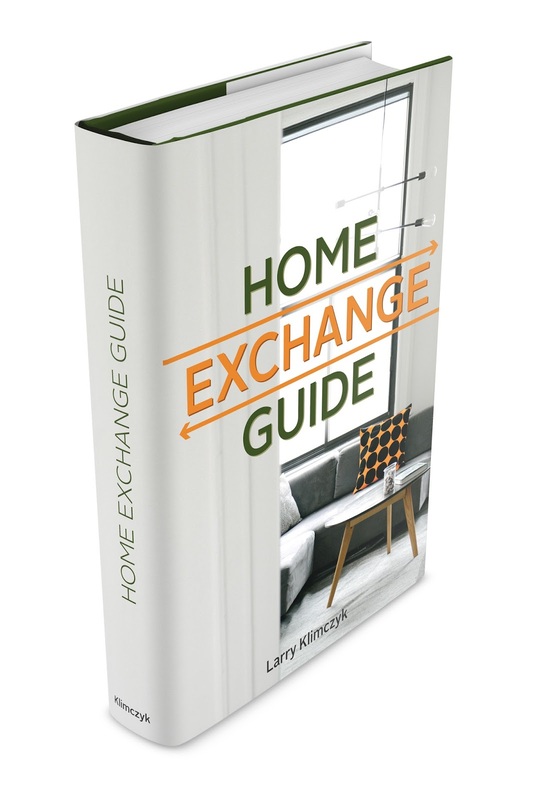 Let’s talk home exchanges. International Vacation Home Exchange as a few properties in both Cabo San Lucas and neighboring San Jose Del Cabo. You will either need to rent a car or hire a taxi to get from the airport to these home exchanges. Just talk with your IVHE coordinator. And as always, safe travels.